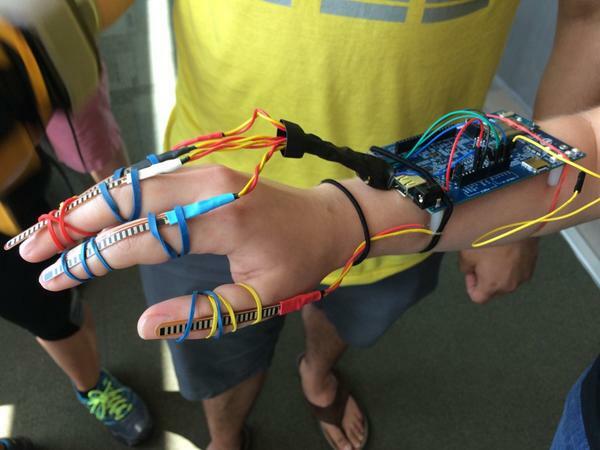 STOP: BEFORE DOING ANTHING FLASH YOUR EDISON IF YOU HAVE NOT DONE SO ALREADY. 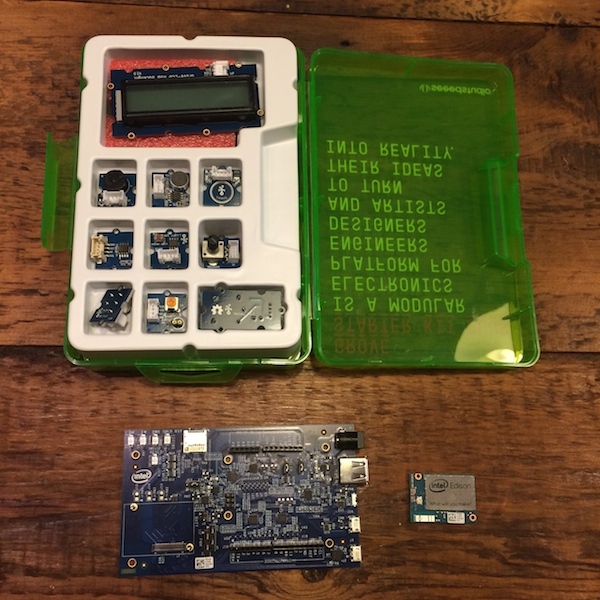 This guide will walk you through how to get up and running with Intel® Edison + Arduino and the Seeed Studio Grove Starter Kit Plus. 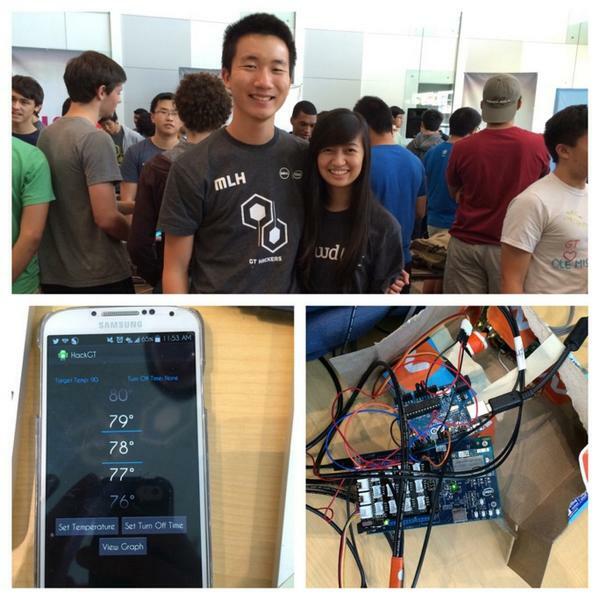 Click here guidance on flashing your Edison (if it is new) to ensure it has the latest software on it. 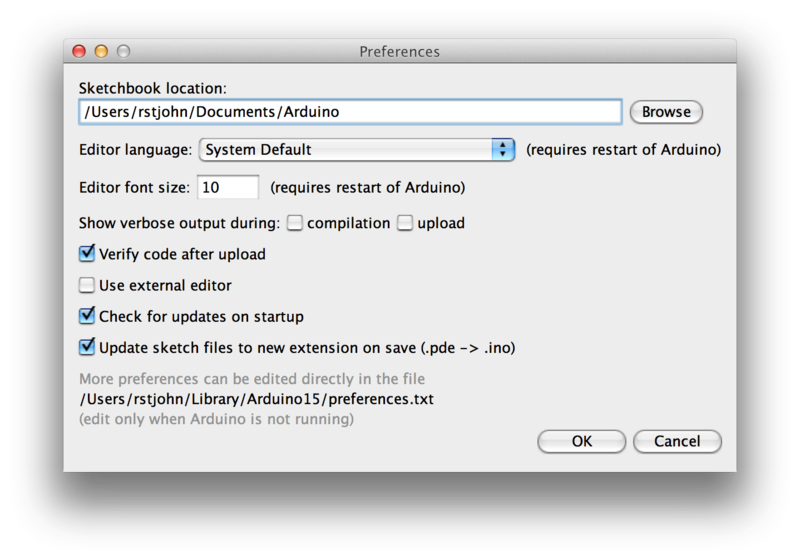 You may need to restart your Arduino IDE. 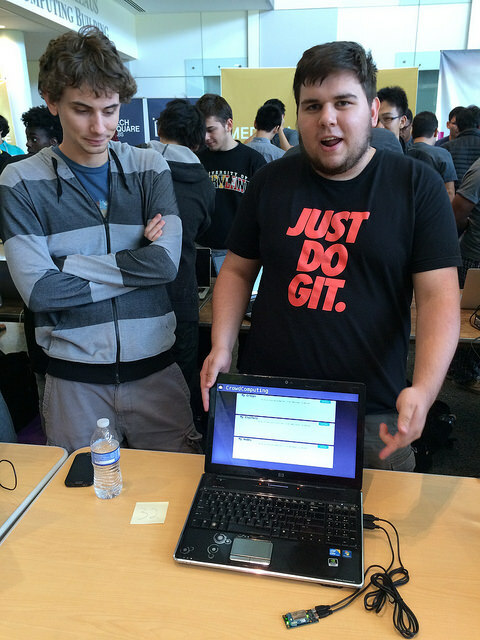 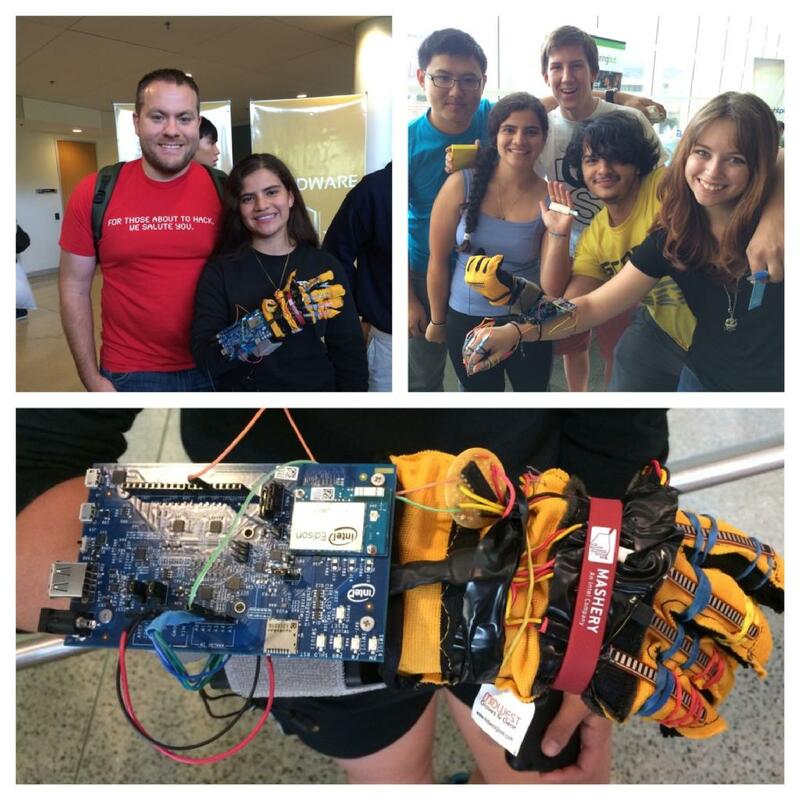 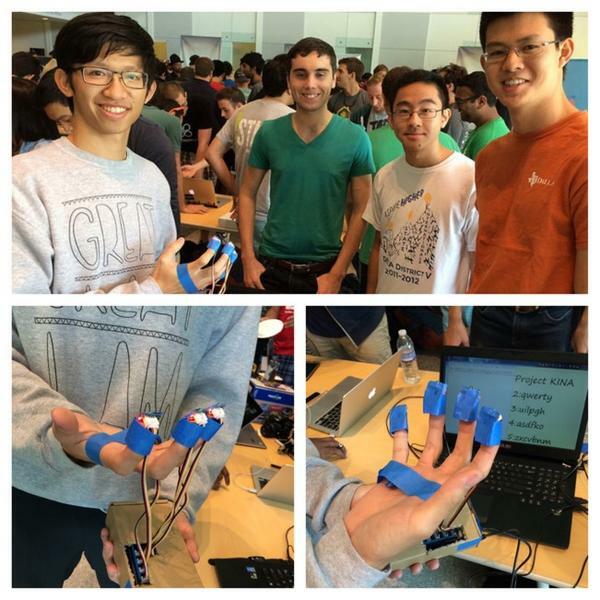 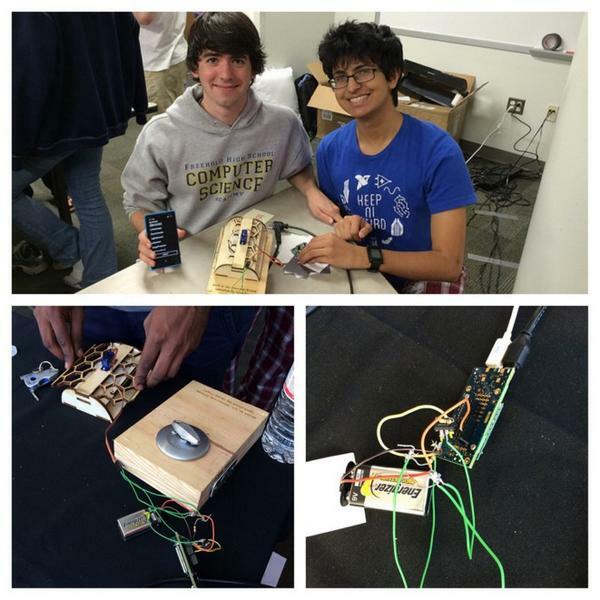 This is a power glove built by students using Intel Edison at HackGT this weekend in Atlanta.